One of my passions when teaching herbal medicine is to help people use herbs effectively. It breaks my heart when I see people give up on herbs too easily. More and more people are turning to herbs because there is a growing disappointment with using pharmaceuticals for chronic illness. Many people are getting fed up with taking a pill that never really cures their illness and gives them awful side effects. Maybe they are concerned about acetaminophen giving their young child asthma or they see the growing evidence about the risks associated with statins and they say enough is enough! From this moment forward they vow to never resort to drugs again and instead try a more natural and holistic approach, thus leading them to the world of herbs and herbalism. But sometimes their love affair with herbalism is stopped short. They reach for the closest herb book, try a few remedies and then declare that the herbs don't work! They tried using horehound for coughing with no relief. They tried meadowsweet for their headache to no avail. They begin to wonder, "Are herbalists a bunch of delusional wood fairies touting the miracles of something that never works?" As much as I would love to be considered a wood fairy, I'll have to say no, this is not the case. I've seen herbs work hundreds of times. I've seen them work for serious infections as well as serious chronic diseases. I've seen them work when modern medicine failed. Yes, herbs work... if used correctly! 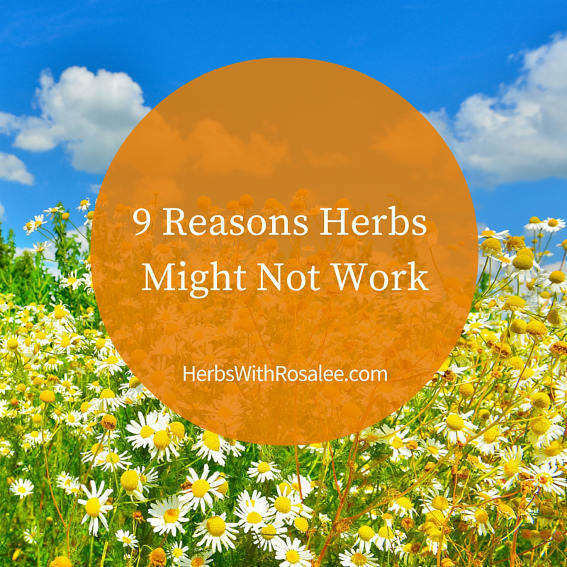 So let me share a handful of reasons why herbs might not work in a given situation. When buying over-the-counter drugs like NyQuil or Tylenol, they come in a package that is clearly marked with the dosage instructions. Generally these are very simple instructions. "Adults take 2 tablets, three times daily." Herbs don't always come with directions. If you buy bulk herbs the dosing instructions are absent entirely. If you buy a tincture or a bottle of capsules, the dosage listed on the bottle has most likely been chosen by the FDA's labeling mandates and not by an herbalist. I am not going to lie to you. Dosage in the herbal world is confusing. In herbalism dosage varies from person to person, from plant to plant and from preparation to preparation. A 15-minute infusion of a teaspoon of nettle leaf will not extract the same vitamins and minerals as a four-hour infusion of an ounce of nettle leaf in a quart of water. A few drops of lobelia tincture can promote relaxation. A strong cup of lobelia tea could make you vomit. Frequency of dosing can also be an issue. During acute illnesses we generally use slightly smaller amounts but with more frequency. I may take elderberry elixir 1-2 times each hour at the onset of an illness for example. General recommendations are to take herbs 3 times a day, but that won't cut it for acute illness. Herbs often don't come with an expiration date. Quality can also vary significantly and will suffer greatly if the herbs have been improperly harvested or improperly processed. Plants decay. They simply go bad. The rate at which they do varies significantly from plant to plant. If you've just pulled a bag of herbs from your back shelf and had to blow off an inch of dust... well, they are probably not at their prime. Powdered herbs that are exposed to light and oxygen lose their potency fast. Tinctures and capsules last significantly longer but, again, storage methods and the particular plants can vary widely. Taste can also be a big indicator. I recently compared two-year old cayenne powder with freshly powdered cayenne. That taste experiment didn't take a genius to figure out which one was dramatically more intense. Know what your herbs taste like when they are at their best (tinctures, teas, powders, bulk herbs, you name it!). This will serve you a thousand times over! Highly resinous herbs shouldn't be extracted in too low of alcohol percentage. Highly mucilaginous herbs shouldn't be extracted in high alcohol percentage. 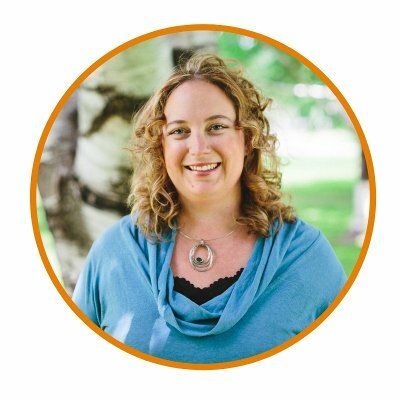 The art of herbalism, not herbs alone, is really the keystone of what determines success when using herbs for chronic illness. Simply put, there is no ONE herb for fibromyalgia. There is no ONE herb for eczema. Instead, we want to fully assess a person constitutionally, understand the energetics of their symptoms and use herbs to match the herbs to the person (for an example of that, read my article on natural pain relief). Whether you study Traditional Western Herbalism, Ayurveda, Traditional Chinese Medicine or the countless other herbal modalities out there, each of them has a specialized way of approaching illness. Looking up eczema in an article index and then determining burdock will work (which it sometimes does) is not practicing the art of herbalism. This is more the art of index retrieval. People are complex, diseases are complex. If a solution seems too simple (particularly for chronic disease), it probably is. Have you seen kitchen sink herbalism? This method takes every herb known for X disease and tosses it in a formula. This works sometimes. More often, it doesn't. I love studying classic Chinese formulas. At first glance they can seem like a random bunch of herbs thrown into a pot, but upon deeper study the brilliance of the formulas is revealed. There are lots of different ways to formulate. Most have merit. It's not about the ONE way, but it is about understanding the methods you choose to use. 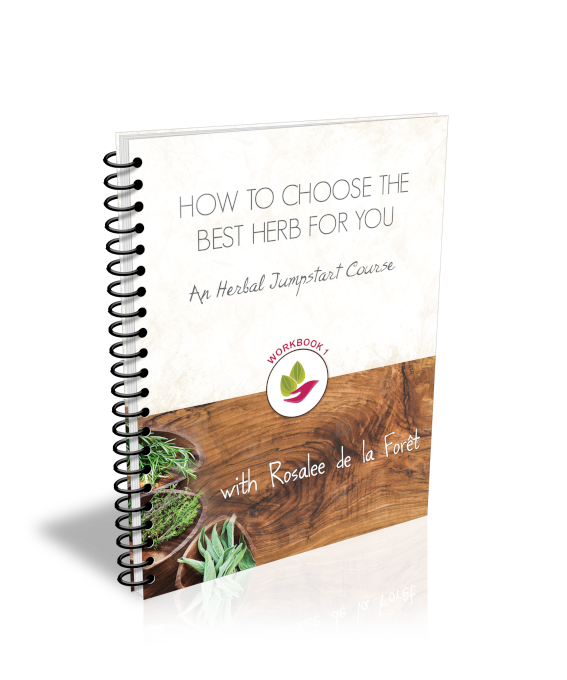 When I create herbal formulas I have a broad guideline I follow in choosing the main acting herbs, assisting herbs, and guiding herbs. Herbs are most effective with dietary support, proper rest and exercise, spiritual connection, support of community and other modalities such as massage, acupuncture, and many more. My mentor KP Khalsa likes to say that natural health is the health of a thousand choices. Otherwise, there is rarely that ONE thing that makes the total difference in a person's health. The most obvious example of this is attempting to treat skin issues using only a topical treatment. In general, symptoms that show up on the skin, eczema, acne, psoriasis, hives, etc are all caused by internal imbalances. Spreading the latest and greatest cream on eczema may give some temporary relief (great!) but will most like not solve the underlying issue. Another way I commonly see this mistake is using cathartic laxatives to evacuate the bowels instead of identifying and addressing the cause of the constipation. Modern western medicine most often suppresses symptoms rather than cures disease. We are better than that! Make the effort. This is especially in chronic disease. It is not realistic to expect a complete turn around from chronic disease just days after starting an herbal plan. Working with a mentor can help you have realistic expectations about what it is going to take to see a person fully recover. Over time you develop your own sense of how long it will take. 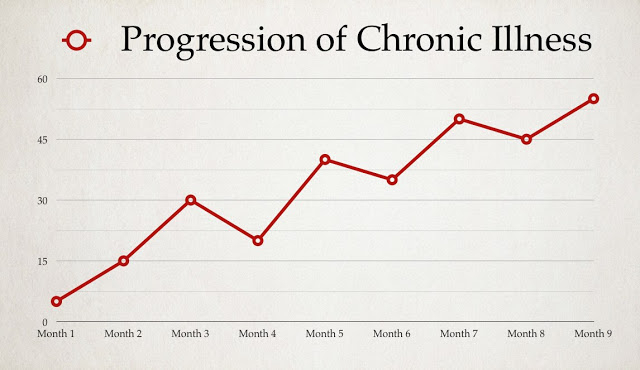 I commonly tell people with chronic disease that full recovery may take 6 months and longer. Healing takes time. This is how I often visually explain the progression of regaining health after a long illness. While I may expect total recovery to happen in many months or even years, I do expect a continual increase in well-being. Herbalism is not 100% effective 100% of the time. No healing modality is. A person's path to wellness is their own and ethical practitioners don't make promises they can't keep. Granted, an experienced practitioner can expect to help most people, most of the time. The more you practice herbalism, the more effective you'll be.